The Law of Attraction Mist will assist in the successful manifestation of the unseen into the material. 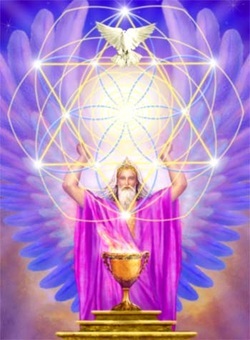 With this elixir, all manner of circumstances will flow to and around you and messages from Spirit will serve to guide you toward achieving your heart’s desire. The Law of Attraction Mist creates a magnetic effect within your aura and energy field for the precise continual steps to occur and for you to achieve your desires. For instance, if you want a house, you’ll be led to it. Perhaps your priority is a new job, more harmonious relationships or positive financial shifts. This elixir was designed to keep your mind clear, stay focused, be in the NOW and guide you to the appropriate choices so that the unseen is awakened to move mountains on your behalf. Simply set your intention, spray the Law of Attraction Mist around yourself and visualize the end result you would like to achieve, then pay attention to the signs and guidance that surrounds you. Stay open to receiving the Universal blessings and welcome abundance and prosperity in to your life.